When your home’s exterior is starting to show signs of age, our experts can revitalize your property. Updating your windows and doors can give your home a whole new look and save money on energy costs. Replacing your old siding and gutters does more than make your home look great. It will also protect your house from the elements. Hail damage inspection and repair is one of our most sought-after services. Our contractors offer quality products and services to handle your residential and commercial remodels. From minor improvements to major renovations, we are always available with routine and urgent service. Save money with the new windows we provide. We’ll examine your home and give great design recommendations as well as the type of window that would suit you best. Ask us about our colors and materials so that your windows will contribute to what you’re looking for. 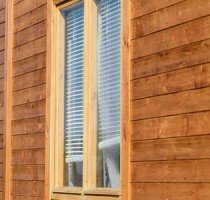 One of the first things people see on your home is the siding. Your neighbors, visitors and family all notice it. If your siding is damaged, protect your home and make it look like new by calling us to repair it or install new siding. We repair your cracked shingles and any leaks you may have. 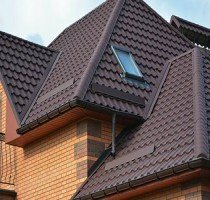 Our professionals can replace portions of your roof or the entire roof if you want to upgrade to a more durable material. You can trust Wolf Exteriors & Remodeling to service the roof you want. For any leaking, detached or rusting gutters, Wolf Exteriors & Remodeling will replace them in no time. 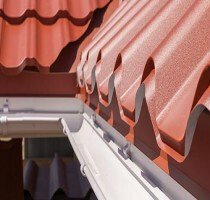 Our sturdy gutters will last for years and reduce the risks of clogs that lead to leaks or worsening roof damage. Wolf Exteriors & Remodeling provides the best exterior doors that will work for all your needs. From lowering your energy bills to giving you the style you want, our doors will provide the perfect makeover for your home. For more than 40 years, Wolf Exteriors & Remodeling has relied on the best products and workmanship in the construction industry to ensure your complete satisfaction with our work. 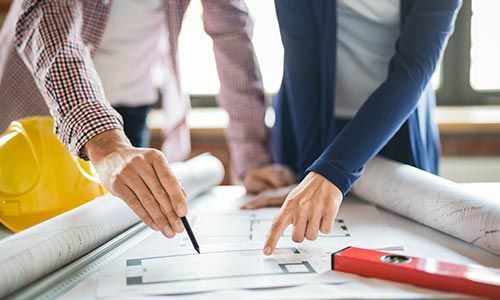 We are proud of our reputation for building long-lasting relationships with clients who have come to know that our work is a finished product they can be proud to own. We do not use sub-contractors. All of our work is performed by our in-house employees. When you hire us, no job is too big for our team to handle. Wolf Exteriors & Remodeling can perform a wide range of services to satisfy your demands and exceed your expectations. Why hire someone to fix your faulty shingles and someone else to replace your gutter when we can cover both? 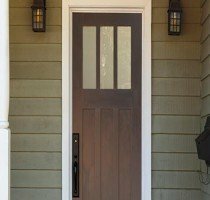 We have a group of highly skilled tradesmen who understand door, window, roof and siding installation like the back of their hands and are capable of completing a variety of jobs. We are happy to work with you in meeting your needs and preferences. We proudly serve Waukesha County and Jefferson County communities.